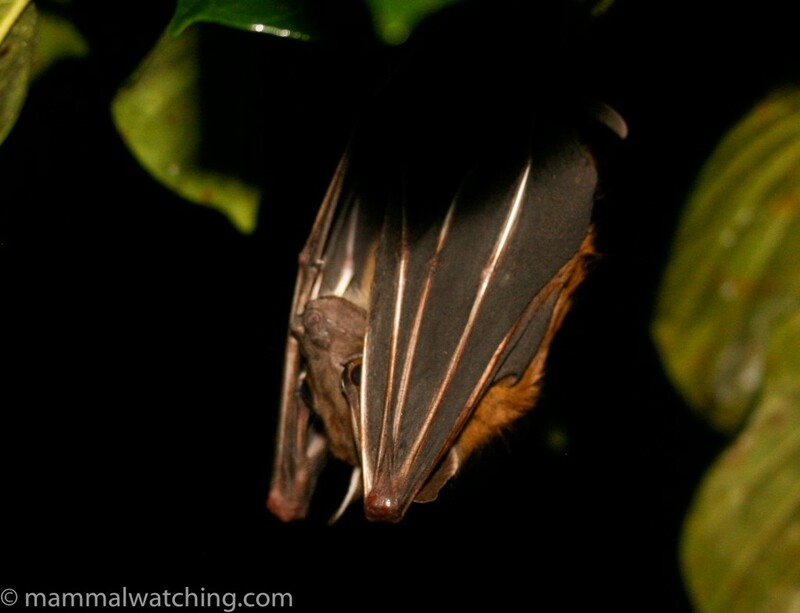 I spent a couple of nights in Hala Bala Wildlife Reserve at the south east tip of Thailand in 2004. When I had to go to Malaysia for work in August 2008 I returned for four nights. Hala Bala is paradise. It is my favourite national park in Thailand, perhaps in South East Asia. It is quiet, picturesque, has hot showers and flushing toilets and a very friendly staff of researchers who go out of their way to help me find stuff, including setting traps and catching bats. Hala Bala is an excellent, if fairly small, piece of rainforest that straddles a mountain with a small research station manned by a team of biologists. The public do not normally stay there: partly because it isn’t run as a tourist camp and – more recently – because the Islamic separatists in Narathiwat Province have put people off travelling here: several thousand people have died in the troubles over the past three years. But although the surrounding province is unsafe, the park itself has never seen any trouble and it is only a 30 minute drive from the Malaysian border point of Songai Cholok. I arranged to stay at the park through Tu and Jan my Thai friends who run a guiding company. Very nice people and great naturalists. 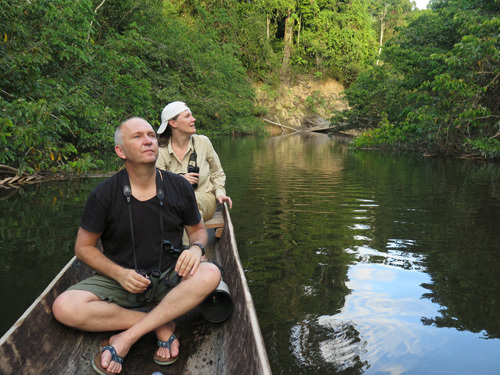 Tu spent two years studying hornbills in the area so has all the right connections to set up a visit at a minimal cost. The park is run on a shoestring budget so visits like mine can really help. There is only one road through the park. 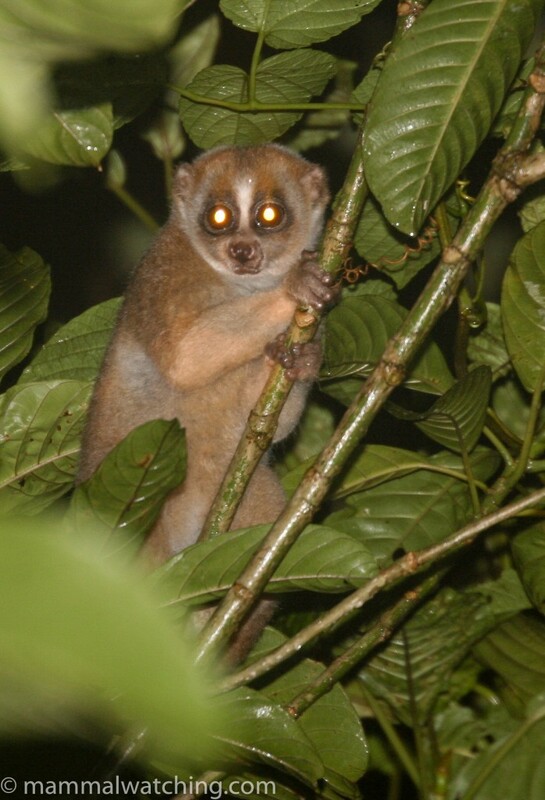 Because of the mountainous terrain it often gives great views across the canopy and makes for excellent spotlighting. I saw a lot while I was here, and got my best ever views of several species. It does, however, rain a lot. Apparently April is the driest month but in April 2008 it rained every day. 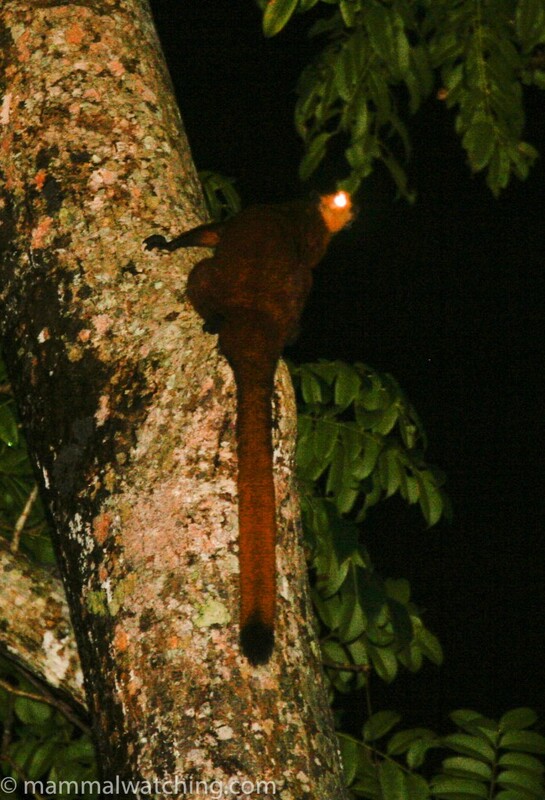 On our first night drive we had very good views of a juvenile Masked Palm Civet at the research station, three Sunda Slow Lorises and a good view of a Giant Red Flying Squirrel. It was drizzling throughout the second night drive, but in one big fruiting fig we had good views of two Masked Palm Civets and great views of a pair of Binturongs. 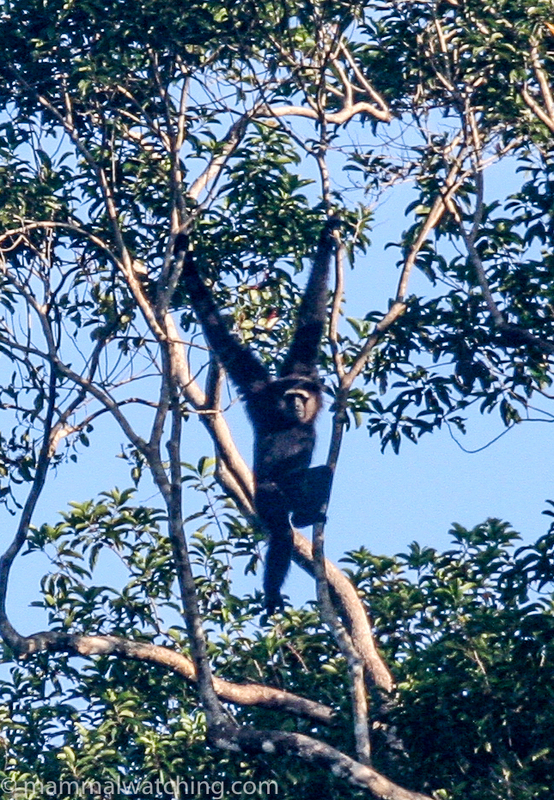 On the first morning Agile Gibbons were easy to see: there were are least four groups calling around the station. We also saw Black-banded, Grey Bellied and Giant Black Squirrels. 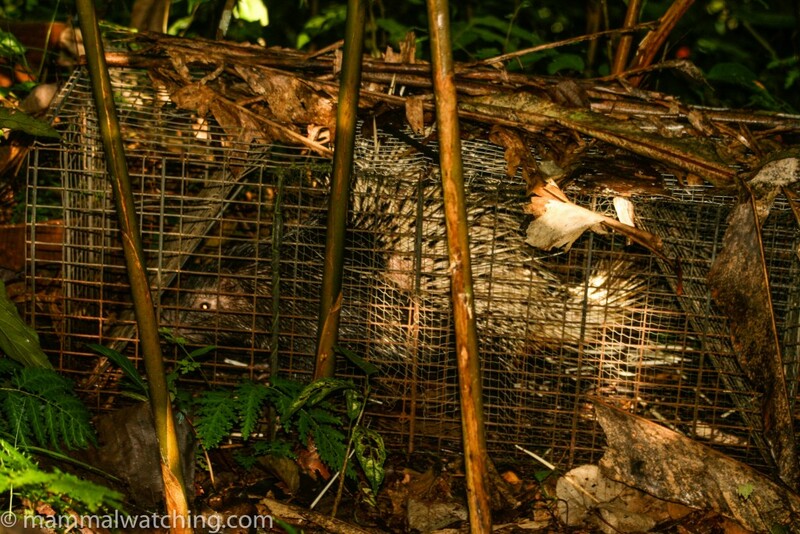 The researchers had a dozen traps set for civets. No Civets but they caught a Malayan Porcupine. 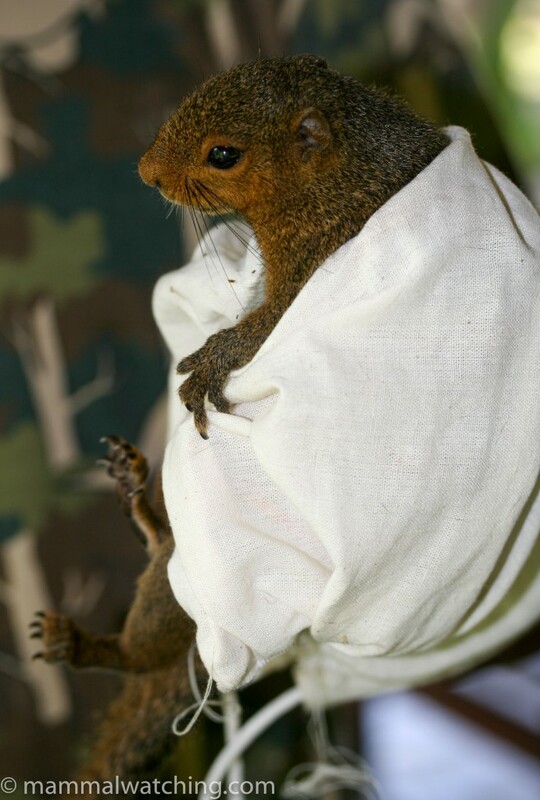 On my last morning they caught a Common Palm Civet, which they tagged and took a sample of DNA from. 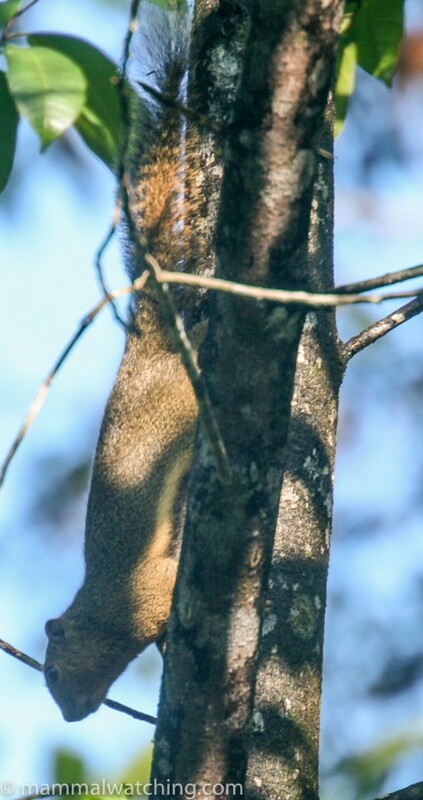 Other species seen during the three days there were Dusky and Banded Langurs (Presbytis femoralis), Long-tailed Macaques, Horse-tailed Squirrel, Low’s Squirrel, Black and Cream Giant Squirrel. 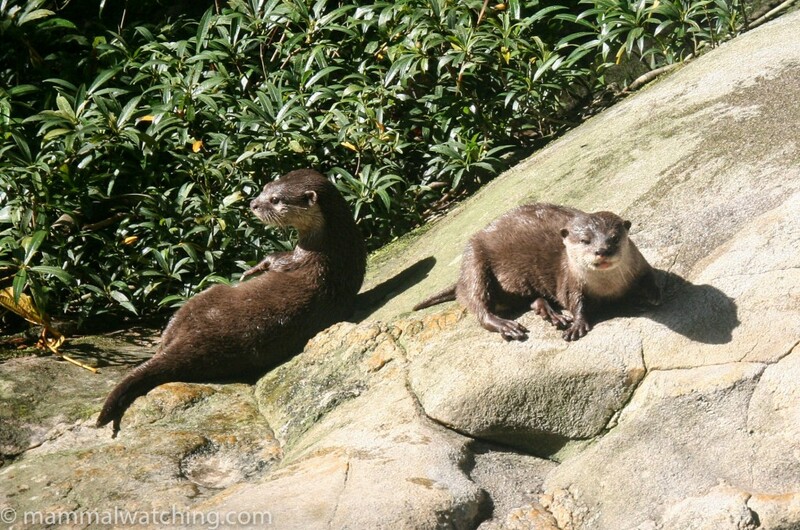 Two species of otters are seen regularly in the river near the station. Small-clawed plus another that was either Smooth-coated or Hairy-nosed. 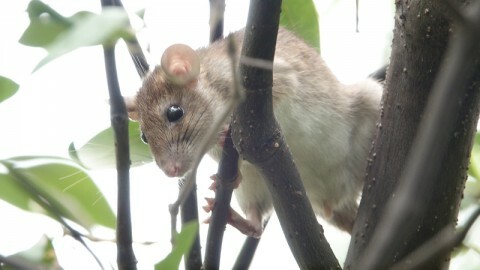 When I asked to try to see them, a crew of six spent the morning building a platform in a tree. I spent nine hours up there, in a camouflaged tent over the course of an afternoon and two early mornings. 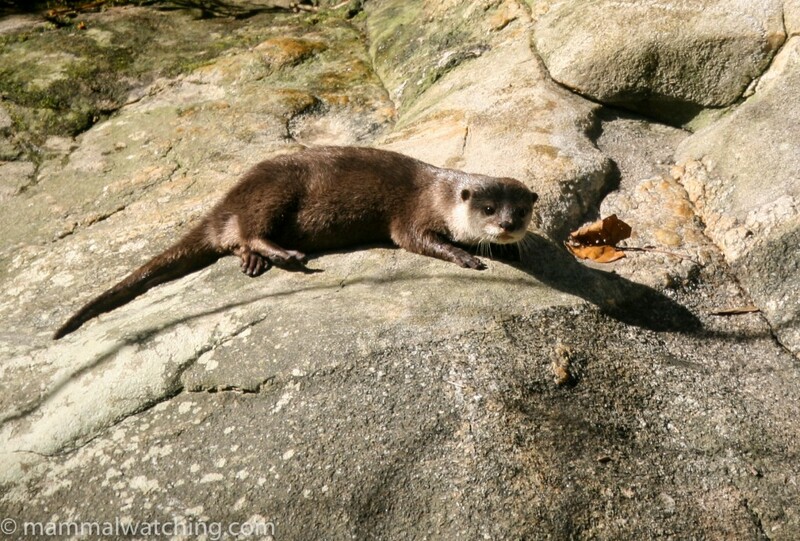 The river was running quite high but had dropped on my last morning and, sure enough, at about 8.30 a.m. a pair of Small-clawed Otters turned up and played on the large rock that doubles as a latrine site. I also saw an enormous snake crossing the creek that feeds into the river. It was about 5m long and I tentatively ID’d it as one of the keelbacks. 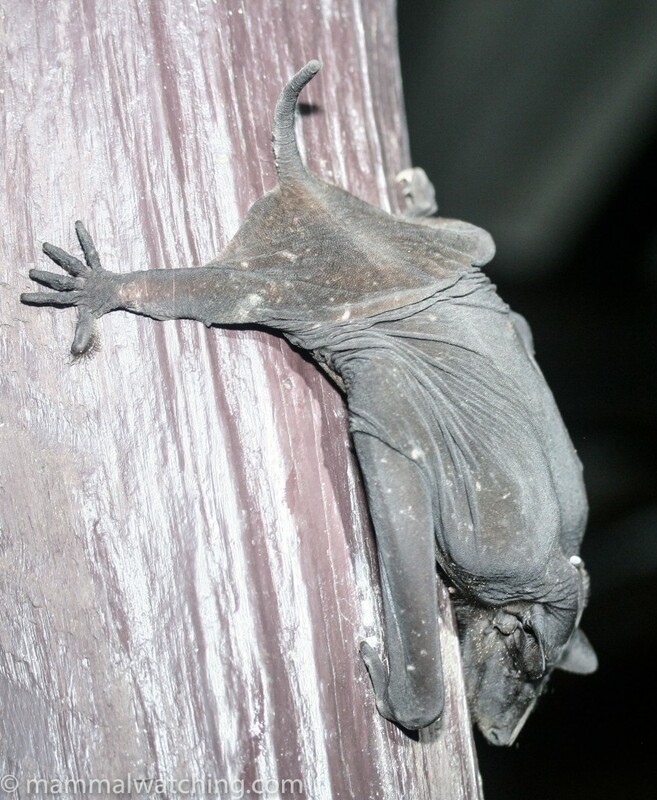 They have done a lot of bat research at Hala Bala, and the promise of catching bats was one of the main reasons I was keen to return. We set a harp trap and mist nets each night. The results were mixed, largely because of a lot of rain. 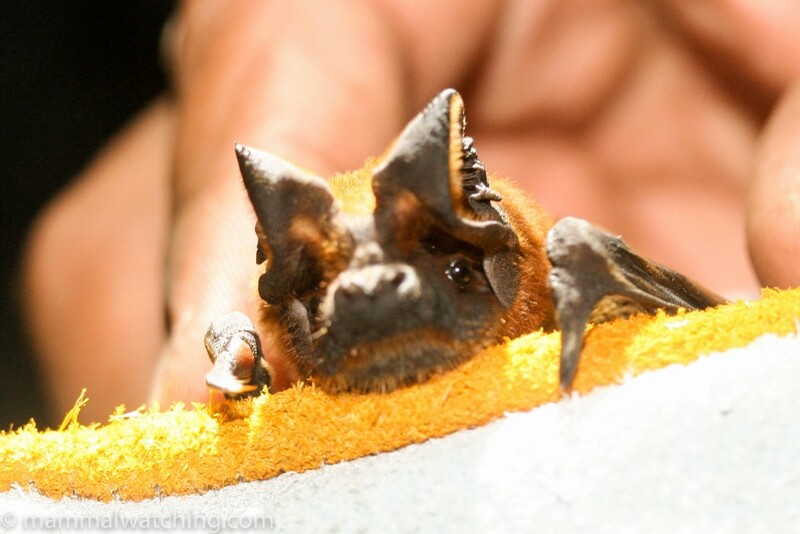 On the first night, the mist nets caught a few Horsfield’s Fruits Bats (keyed out eventually from Greater Short-nosed Fruit Bats because of the cusps on their lower cheek teeth). The harp trap had just a couple of Bicoloured Roundleaf Bats. 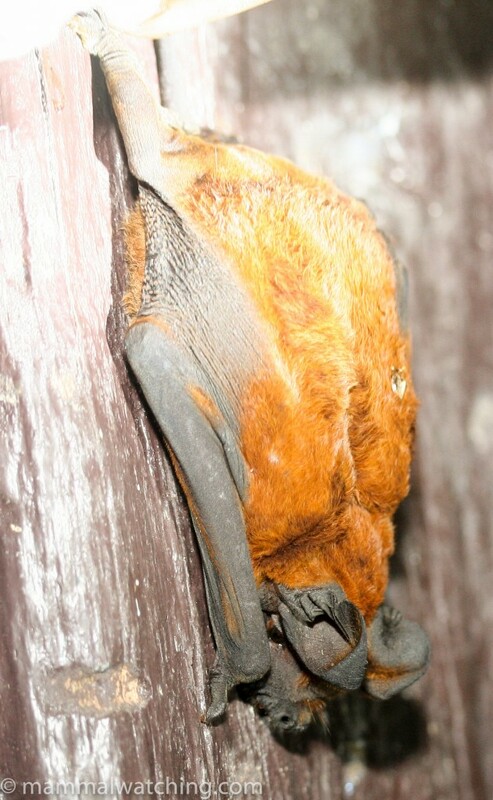 Horsfield’s Fruit Bat, Cynopterus horsfieldii. 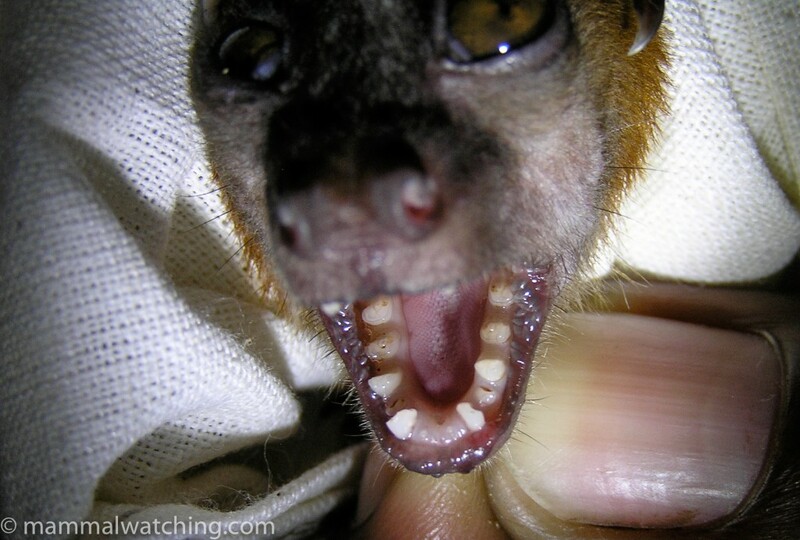 The cusps on the lower cheek teeth differentiate this species from C. sphinx. On the second night we moved the mist nets but just caught more Horsfield’s, with nothing in the harp trap. 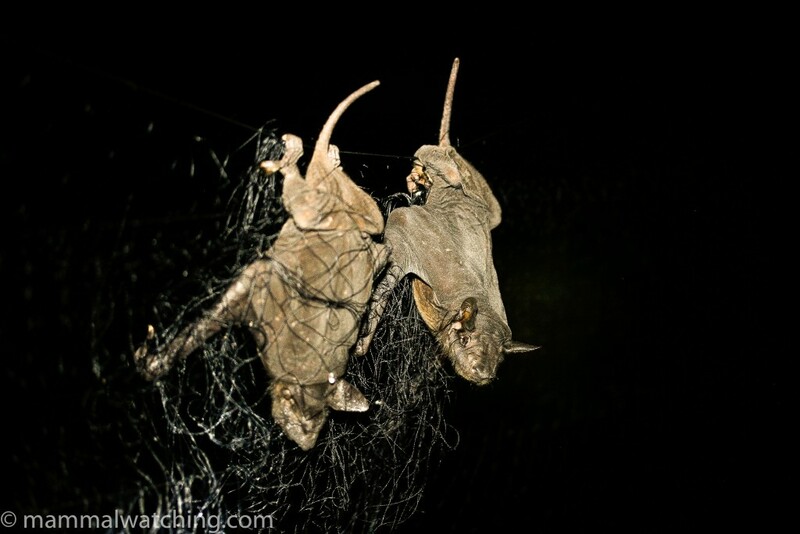 On the third night the guys strung a net across the river at a place where they had once caught Naked Bats. 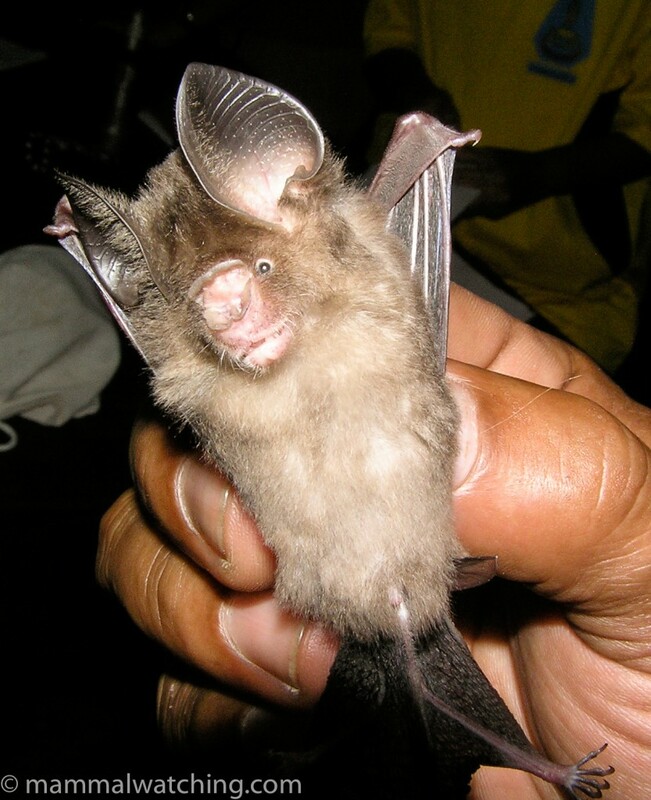 Sure enough we caught three of the brutes plus three Sunda Free-tailed Bats (Mops mops) in two colour phases. 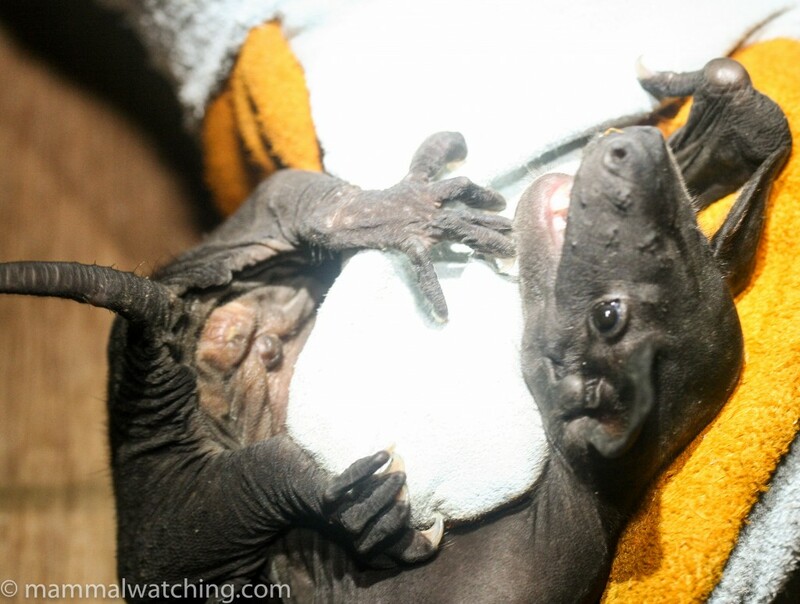 Naked Bats are superb. 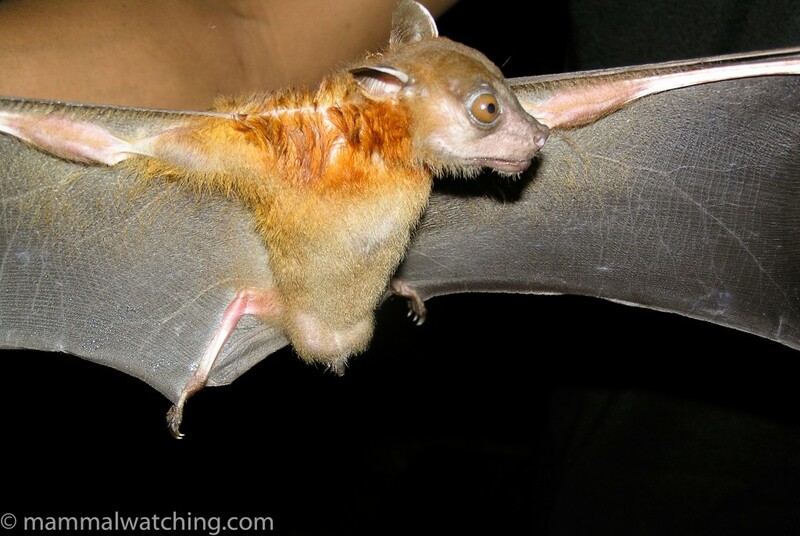 They are the largest insectivorous bat in the world and also I reckon the smelliest, ugliest and meanest. 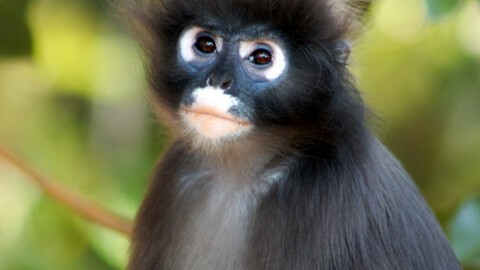 There are Siamangs at Hala Bala and they can be found without too much trouble, though I didn’t have time to look. 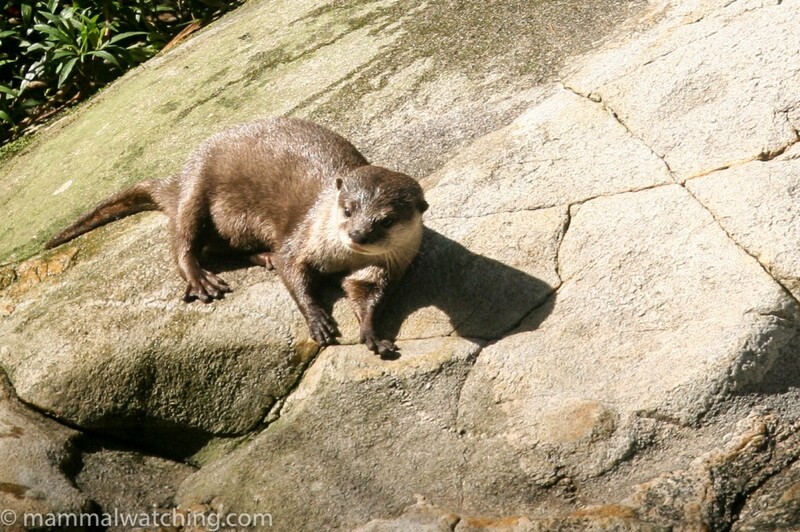 Hairy-nosed Otters also occur, and have been studied three: f I return they promised to set up a hide for me to look for them at the study site. 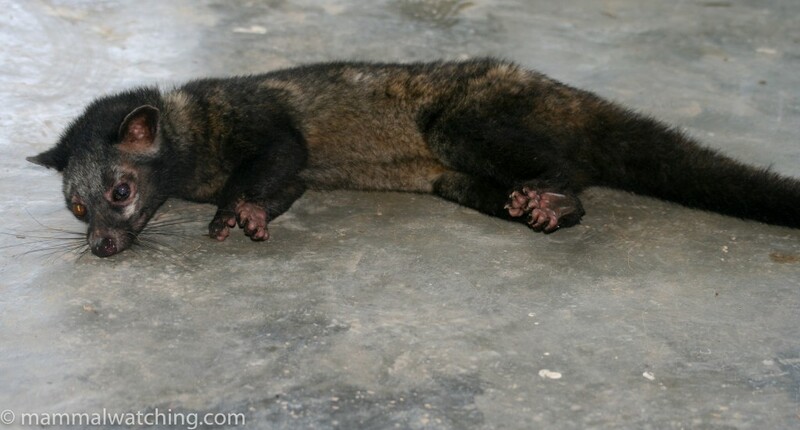 Tu has seen an Asian Golden Cat on the road, and Fea’s Muntjaks are quite common. 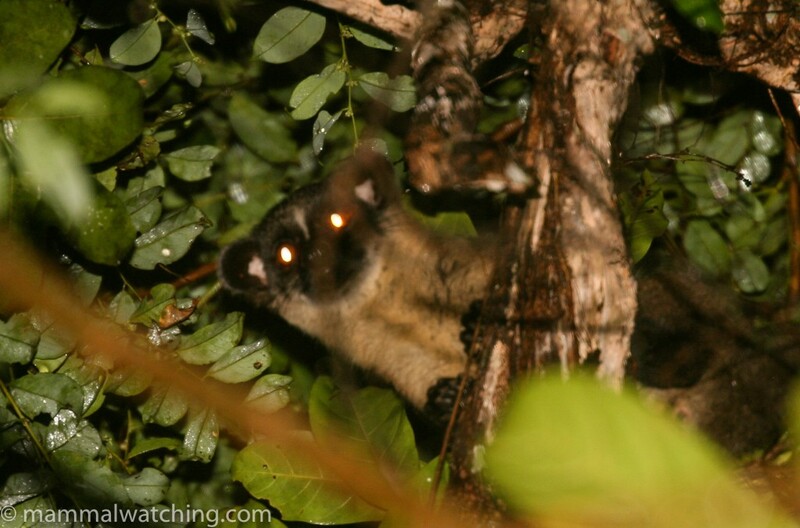 Camera traps have photographed Tapirs, Tigers and Banded Palm Civets among other species.